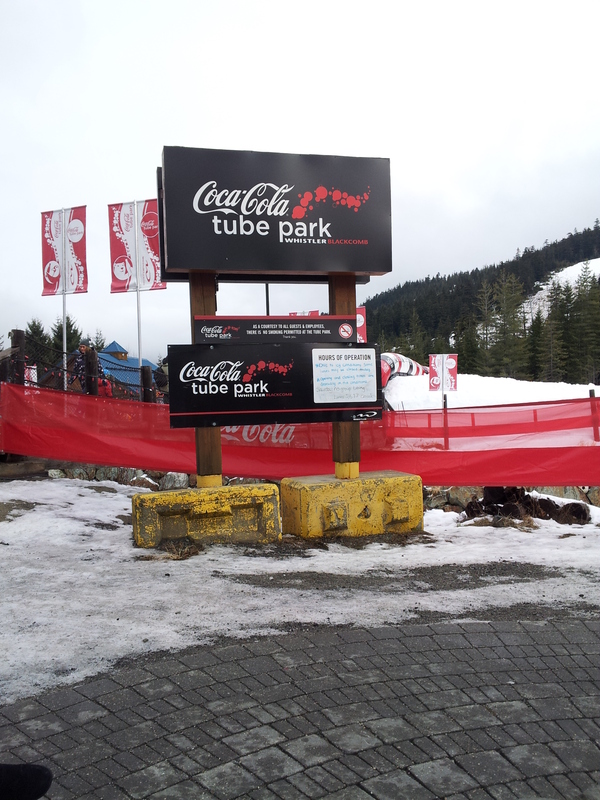 We are staying at the Cascade Lodge in Whistler. This was the first time we did a VRBO (vacation rental by owner) and we got a great deal for Christmas week. The process was explained to us and everything went well. The resort is perfect for us. The rooms were small but clean and everything was fairly new. We were on the pool side so it was pretty quite. Larry and the girls skied 2 days. They said the mountain was huge. Unlike anything we have skied back East. 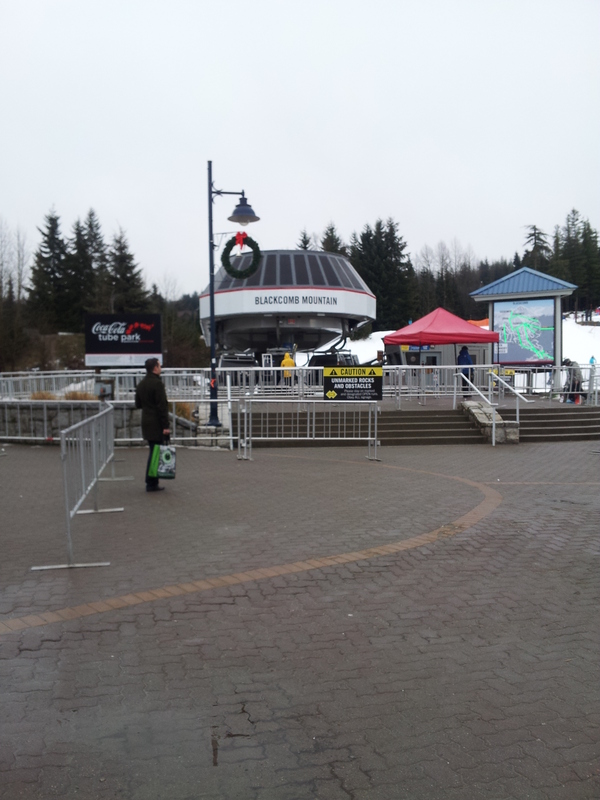 Both days were pretty empty, and they rarely waited more than a few minutes in a lift line. The snow was mostly man-made and icy in spots. That is the ski report. The days they skied, I ran. I actually ran 4 days in Whistler, with 2 eight mile runs. It is very hilly here and we are at 2,000 elevation. Running seemed harder than in Seattle. 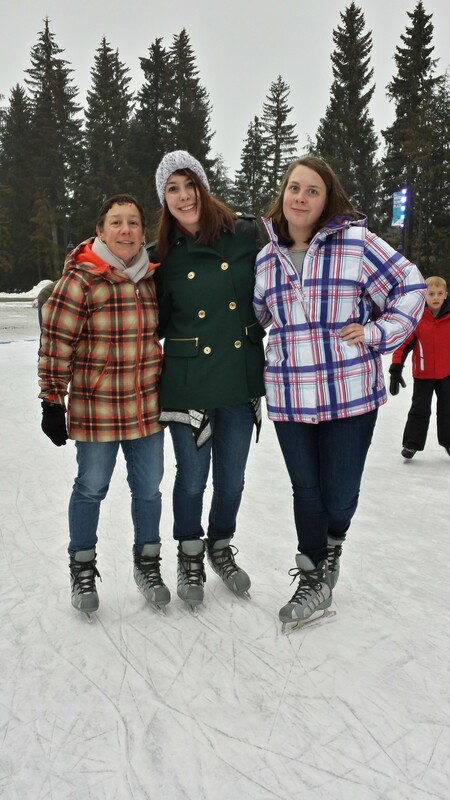 We skated at the ice rink in the Olympic Plaza. I have not skated in about 30 years and I did very well. We also went to the Tube Park. We had gone earlier in our stay and it was not open for adults. Larry and the girls got in 3 runs in the hour and were happy with it. We had a great lunch at Crepe Montagne. 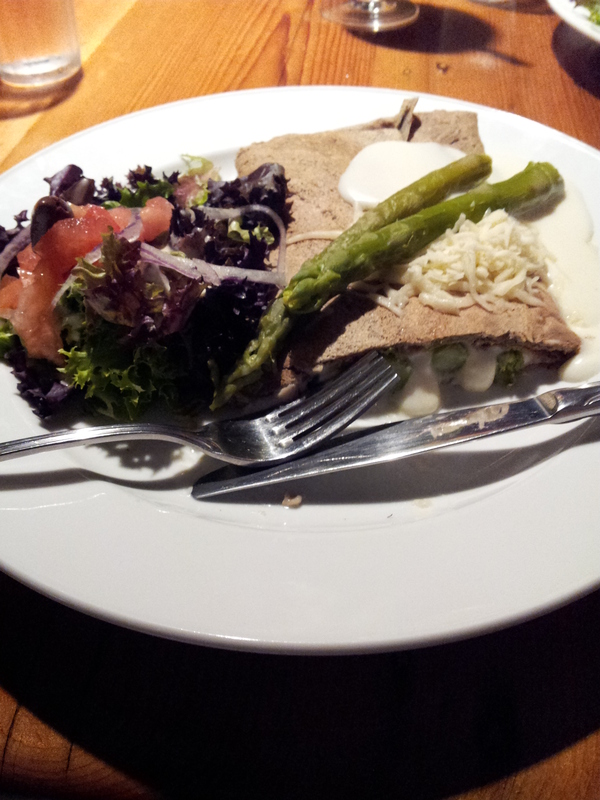 I had the ham and asparagus crepe. 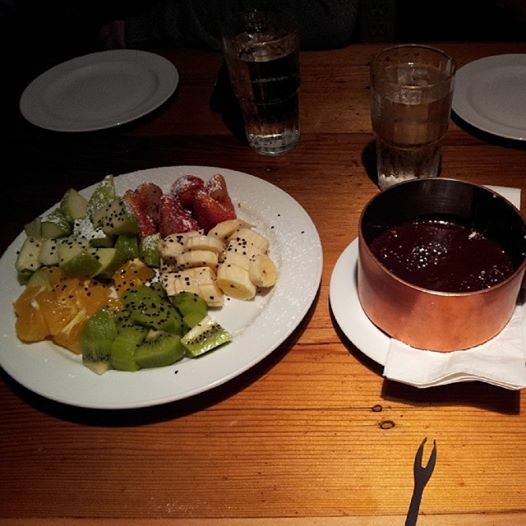 We all shared the chocolate fondue. For dinner we went to the Brew House. We made a reservation because we tried to go the night before and there was an hour wait. The food was good. 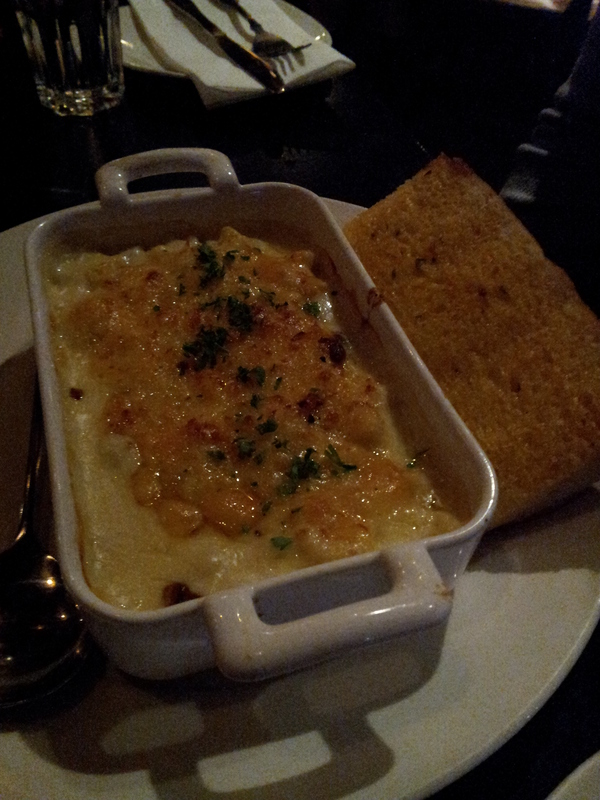 Emily and I split the Mac & Cheese and a salad. It has been a week of fun, family and food. I will get back to healthy eating on Monday. This entry was posted in Uncategorized and tagged Cascade Lodge, Crepe Montagne, ice skating, Running, skiing, Whistler. Bookmark the permalink. I love seeing a new place by running. So glad you were able to get some good runs in!